Mad Max: Fury Road has proven that, every now and again, movie reboots can work extremely well. Who’d have thought that a sequel to a 30 year old film would be so good?! It got us thinking: what other long-forgotten movies need a reboot? We’ve already shared a couple in a previous post, but here are 5 more movie reboots that need to happen. 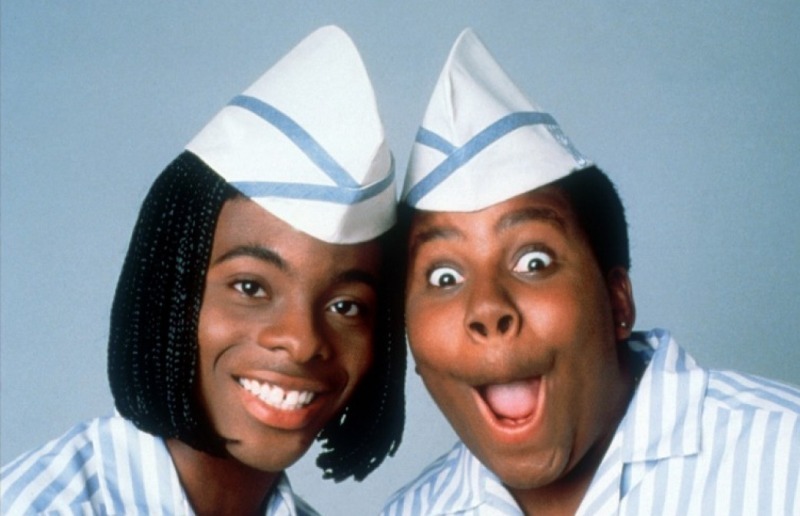 The original: 90s heroes Kenan and Kel’s jobs at the Good Burger restaurant (home of the Good Burger!) are threatened by a super-slick rival chain. It’s every bit as good as you remember. The reboot: 90s heroes Kenan and Kel return, this time owning the Good Burger. Threatened by a bearded group of hipsters who open an arty burger kitchen experience, they try to adapt to the hipster burger trend. The sloppy Good Burger of the original is replaced by an artisan 1000% free-range beef patty with orange soda dressing and brioche buns. Hilarity ensues. The original: Shallow socialite Cher realises that there’s more to life than nice clothes and shoes. She eventually falls in love with someone, which makes half the audience go ‘aww’ and the other half question if their relationship is a bit weird. The original: Harrison Ford is the President (finally!). He makes a speech announcing that he will never negotiate with terrorists, only for his plane to get hijacked by a group of Russian terrorists headed up by the king of 90s movie bad guys, Gary Oldman. D’oh! The reboot: With Blade Runner, Star Wars, Indiana Jones and The Fugitive all getting reboots, Air Force One is pretty much the only one left to adapt. Just do the same thing again but with a slightly older Ford! The original: An adaptation of the ridiculously violent fighting game. There isn’t much violence and the costumes are very, very bad. Remarkably, it spawned a series of films that somehow get worse and worse. The reboot: After the highly successful reboot of the video game series, it’d be a good time to have another bite at the movie cherry. Get some sweet costumes for Scorpion and Sub-Zero, buy enough fake blood to fill 4 million swimming pools and voila! The original: Take your pick. There’s been so many versions of Batman that we’ve lost count. The reboot: There’s already one under way, but we’re a bit tired of seeing Bats being such a grumpypants. Bring back the 60s campness and watch the money roll in – maybe. Adam West could play Alfred. Which movies would you like to see rebooted? Let us know in the comments. And don’t forget, you can get an instant value for the DVDs for FREE with musicMagpie. Click the button below to sell DVDs.